TRI Proof LED Light - Indoor - JK TOP-Industrial Co., Ltd.
Tri Proof LED light fixtures, IP66 waterproof, dust, corrosion and pressure-proof. High stability isolated driver, optional with Motion Sensor. Excellent heat dissipation depending on whole aluminum housing. Our Fixtures are widely use for ambient industrial lighting application. JK TOP Lamps are fully certified (DLC/CB/TUV/UL/FCC /CE/RoHS) and are available for most all rebate programs. 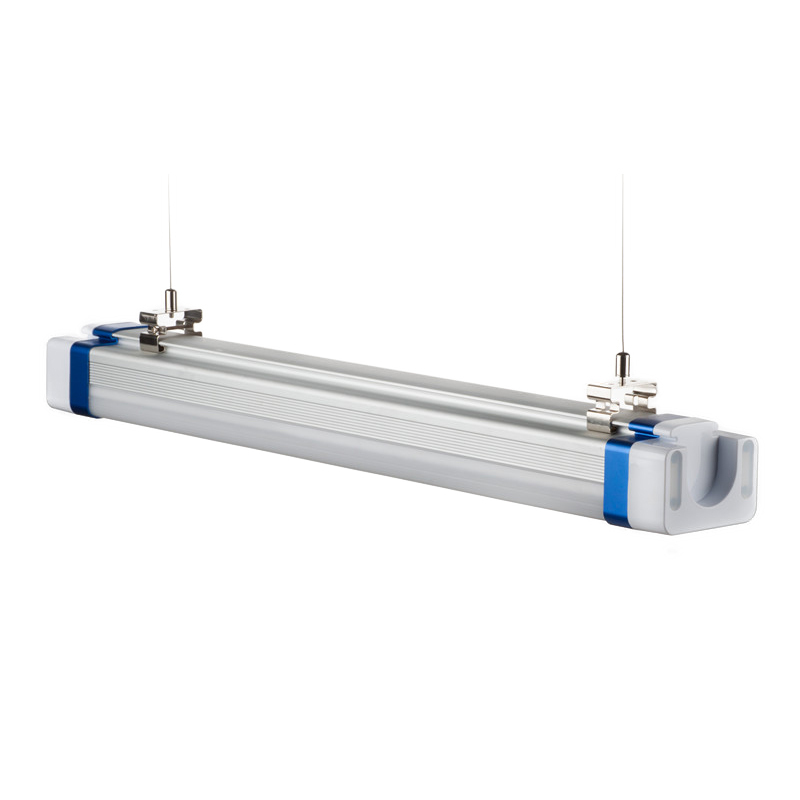 They are ideal replacements for standard high wattage and inefficient fluorescent tubes. These JK-TOP LED Tri Proof Light are certified and use the highest quality components available. We deliver a long-lasting and environmentally friendly LED www.cree.com light source. Optional: DALI stands for Digital Addressable Lighting Interface and is a protocol set out in the technical standard IEC 62386. DALI LED Drivers from Inventronic. Optional: 1–10 V dimming is one of the earliest and simplest electronic lighting control signaling systems. The control signal is a DC voltage that varies between one and ten Volts. High Powe High Bay Light cuts energy consumption in half and nearly eliminates maintenance costs with industry-leading price and performance. MEAN WELL power supply, high performance external constant current drivers, high efficiency & PF, high quality assurance.